This chasm between the country’s name on the one hand and its ethnicity and language on the other leaves a bitter taste for almost all Greek citizens, as was evidenced in the recent rallies and opinion polls. That is the government’s right. It should not, however, feel at all proud about the way it handled a national issue that arouses sensitivities in the vast majority of Greek citizens. It ought to have solicited the counsel of former foreign ministers who had negotiated the naming issue with Skopje. Instead, it acted covertly. That is why the government should be a bit more restrained in its euphoria. It should be more reserved about the fact that our country recognised a state as North Macedonia and that it is not inhabited by North Macedonians but rather by plain Macedonians who indeed speak the Macedonian language. How the government will manage that chasm from now on is critical. Will it continue to divide the country into two camps and to brand and send all of its critics to the far right camp, or will it attempt to unite the country? It will divide if it again uses a national issue for partisan gain. 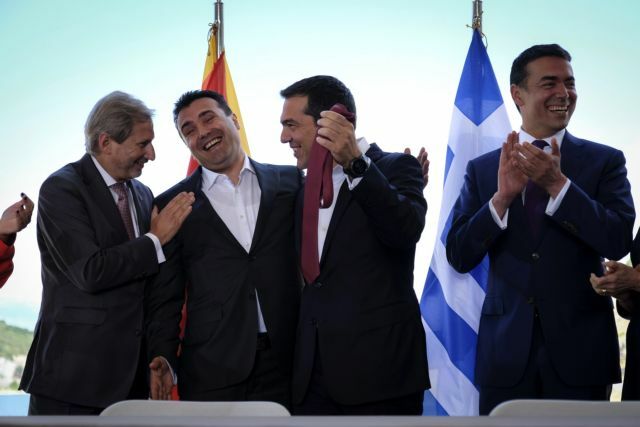 It will unite if it realises that the day after the Prespa Agreement confronts Greek citizens with a painful reality. The government’s choice will determine if it will tread the path of petty partisan irresponsibility or that of serving the national interest.